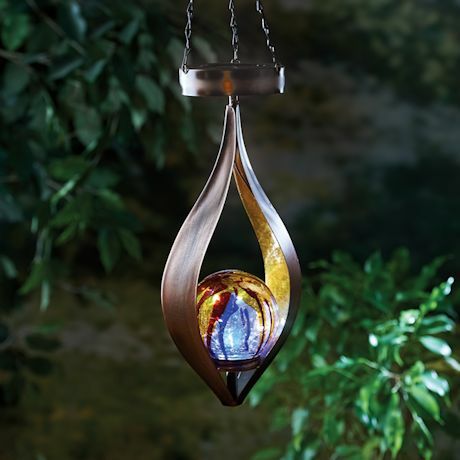 Turn your outdoor living area into a sculpture garden with the lyrical lines of this copper-finish lantern, magically carrying a glowing orb for evening ambiance. Weathersafe finish, but hang in a sheltered space. 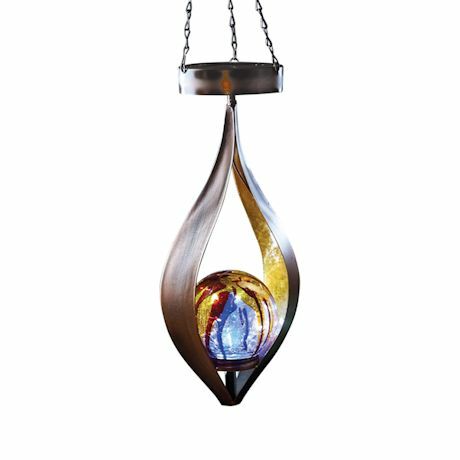 Metal, art glass and solar-panel LED light. 3¾"x 6½" x 24".